Delicious and savory enough to drink on it’s own but also makes a nice addition to your favorite recipes. The nutritional benefits are superior to canned stock, and contains many amino acids to help improve digestive and joint health. 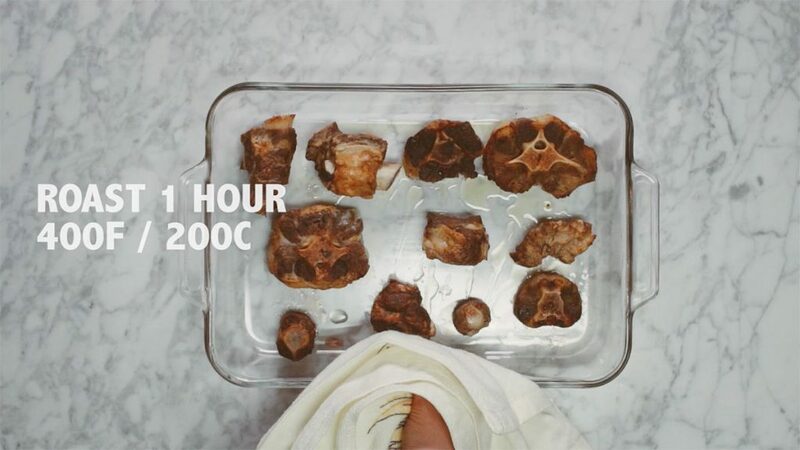 PREHEAT oven to 205 C or 400 F.
BRING to a high simmer, reduce the heat to low and let simmer for 12-24 hours. 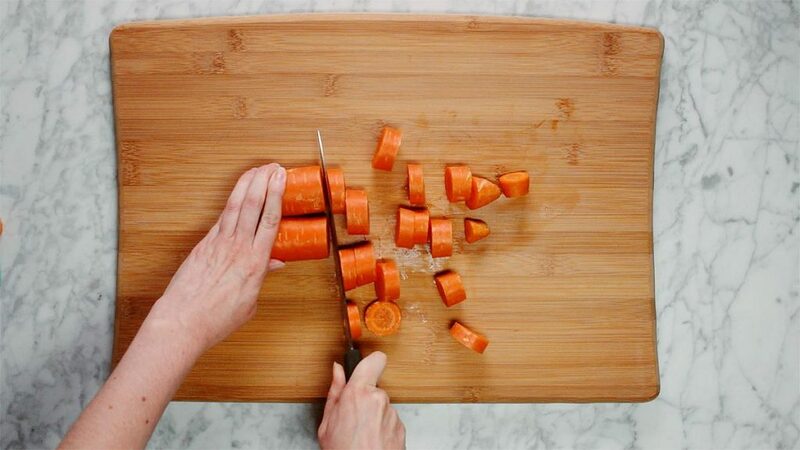 ADD water as needed to keep all the ingredients submerged. 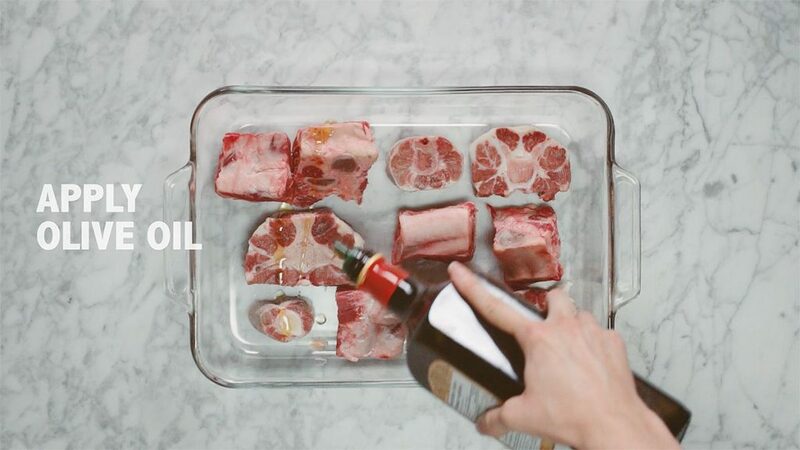 Once the broth has reached a dark rich brown color, remove from heat. SCARD the bones, vegetables and bay leaf. 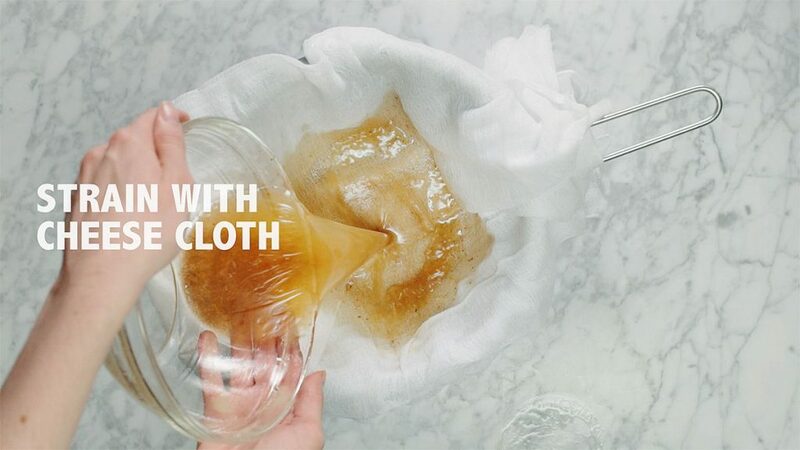 STRAIN broth through a cheesecloth. 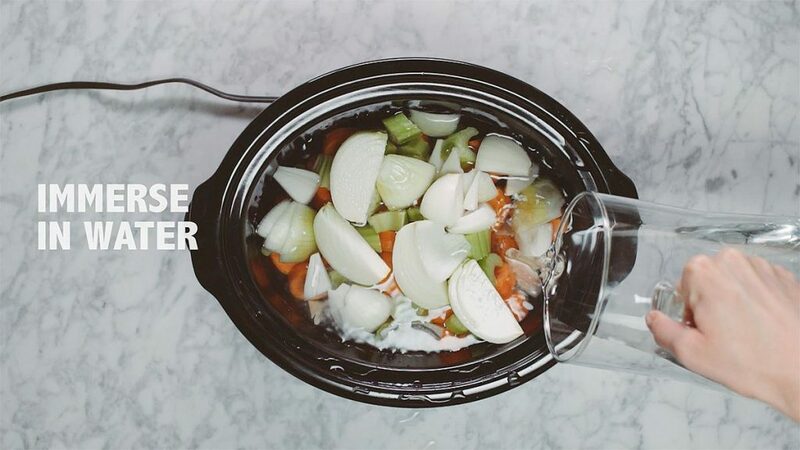 Cool the pot to room temperature. 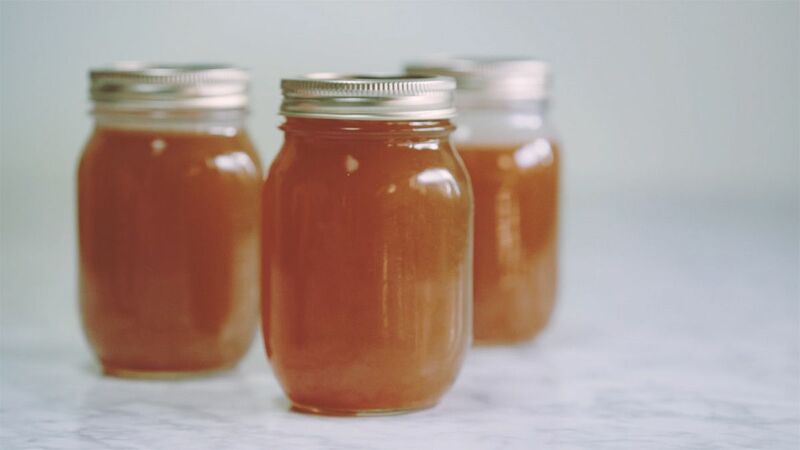 Once at room temperature pour into jars and let cool in the refrigerator for at least 1 hour. 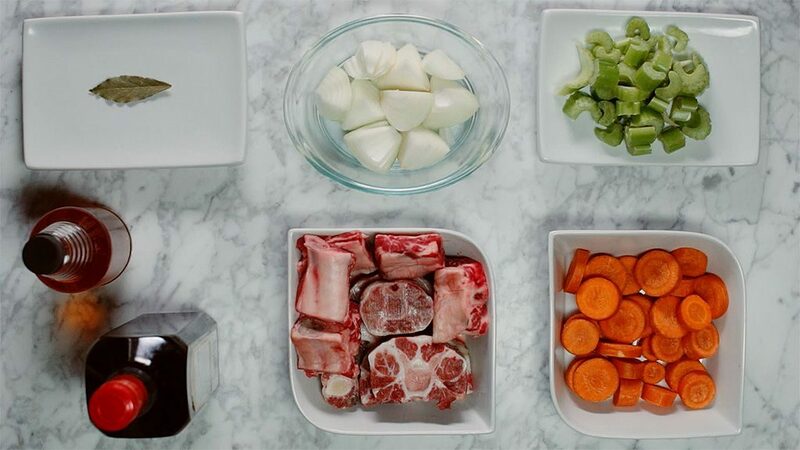 When you are ready to serve, skim the condensed fat off the top of the bone broth and heat to the desired temperature. 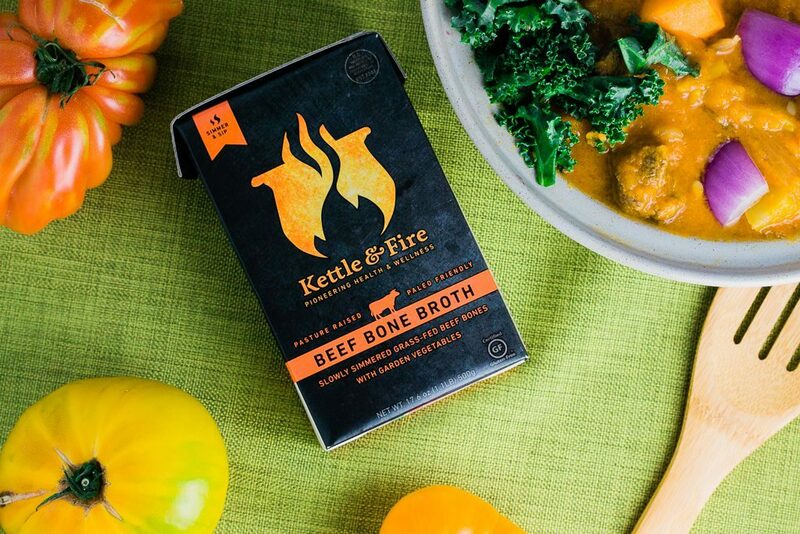 If you’re having a hard time finding the time to make bone broth or can’t find good quality grass-fed bones, I recommend you check out Kettle & Fire. 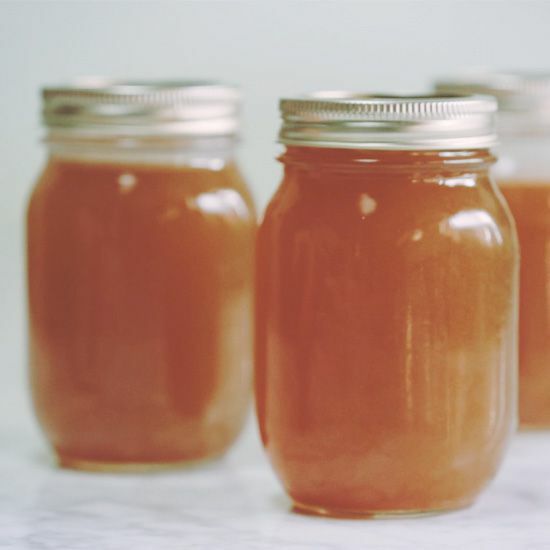 Their bone broth is very high-quality with a lot of gelatin, full of nutrition, and sourced with organic ingredients & grass-fed bones. 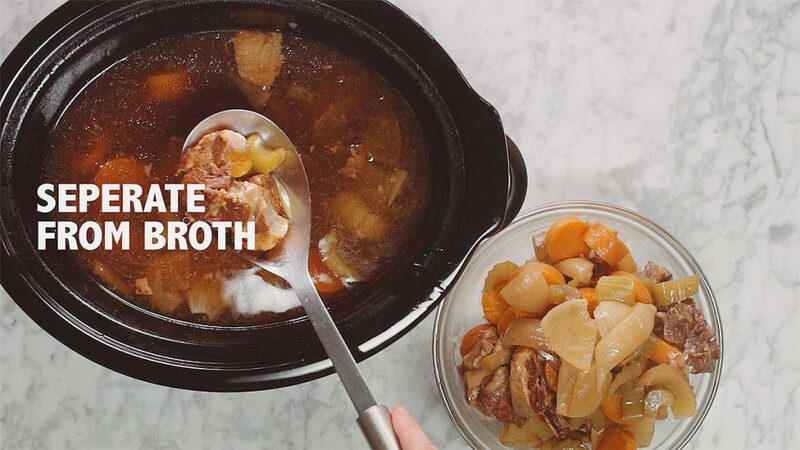 Buy their bone broth online and use the promo code “OHMYDISH15” to get 15% off your first order.